The Safco Xpressions Stand-Up Desk is a modern looking piece of furniture great that also promotes better posture and reduces back and neck pain. 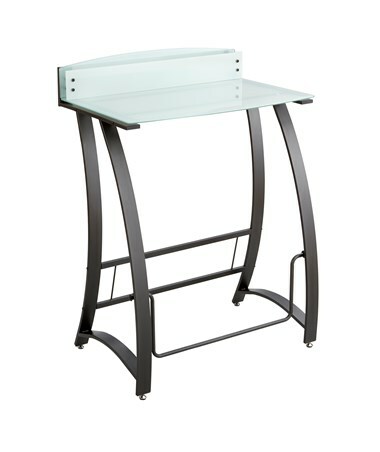 The table top includes a back panel that can be used for taking notes or as an extra storage. Also featured is the patented Swinging Pendulum footrest bar, which is a noise-free bar that allows natural movement while standing. 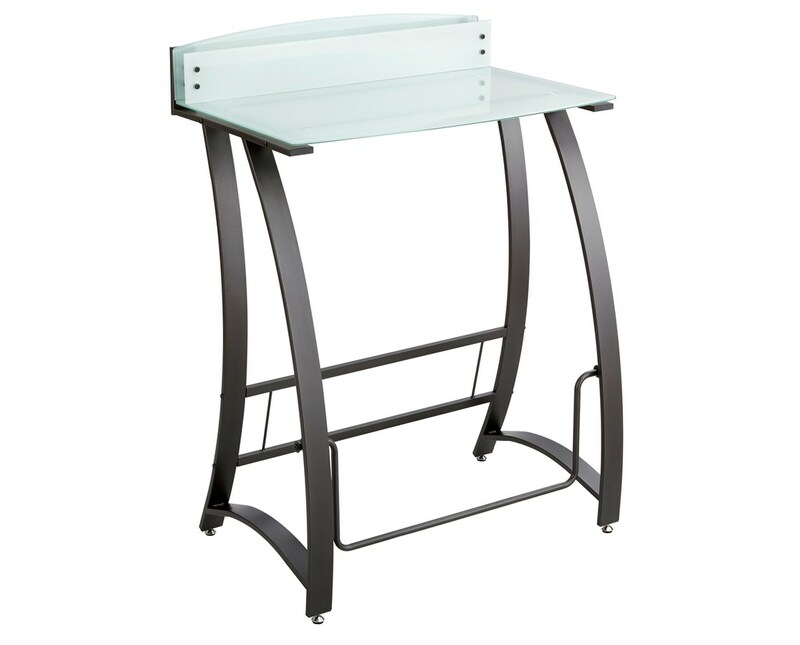 The desk’s frame is made of steel with a black color finish, while the desk top and panel are made of tempered glass. It is GREENGUARD certified for low chemical emissions.